Beautiful location! We saw whale spouts in the distance each day, and sea turtles come right into the cove and up the stream. Easily walk to restaurants and shops. Closest beach is tiny, but only a 5 minute walk. Others are a short drive. Our bed was very comfortable and housekeeping was quick and efficient - thanks, Venus! Quiet hours from 10pm-8am meant hearing only the waves to go to sleep. Very nice view and location. It was central to much of the area that we traveled. It was very clean and well furnished. Fantastic appartment with great facilities and view. the condo was beautiful. the view was breath taking. loved hearing the ocean at night while we slept. Loved the location, the square footage, the laundry facilities, the proximity to the ocean and so on. We loved preparing our meals (evening meals especially) on site. It might have been nice if there were a few more staples in the suite (such as flour, sugar, olive oil, spices) but I realize this might be difficult to monitor. We have previously stayed in suites where there were a few basic items that you could add to. Whaler’s Cove was a lucky find for us and we’d love to return someday, God willing. Great location with a view of the ocean. Clean, comfortable and spacious with all the facilities and amenities provided. The view was better than expected with an outlook over the pool to the sea and up the coastline. The condo was elegantly furnished and very comfortable. Apartment very spacious and well equipped, linen changed daily, sea view, excellent extra large beds and well ventilated at night. Lovely pool and hot jacuzzi which we had virtually to ourselves even though it was high season. Very quiet area with shopping/restaurants a 5 minute walk away. Decent snorkelling next to the apartments, but you need a car here to get the best of a stay here. Kids loved the waves at Shipwreck Beach a 5 minute drive away. Size of the unit was really nice, well stocked and the view of the ocean was amazing! - Excellent établissement face à l'océan. - Très calme et très confortable. - Superbe accueil . Lock in a great price for Whalers Cove in Poipu – rated 9.2 by recent guests! Offering a heated outdoor pool, these oceanfront Poipu apartments are 5 minutes’ walk from the shops and gourmet farmers market in Kukuiula Village. A full kitchen is featured in each luxurious unit. 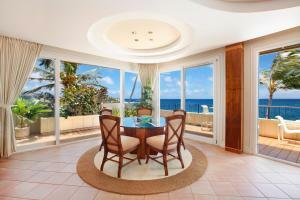 Showcasing ocean views, the apartments at Whalers Cove in Poipu offer a washer and tumble dryer. Free Wi-Fi and a flat-screen TV with cable are included. 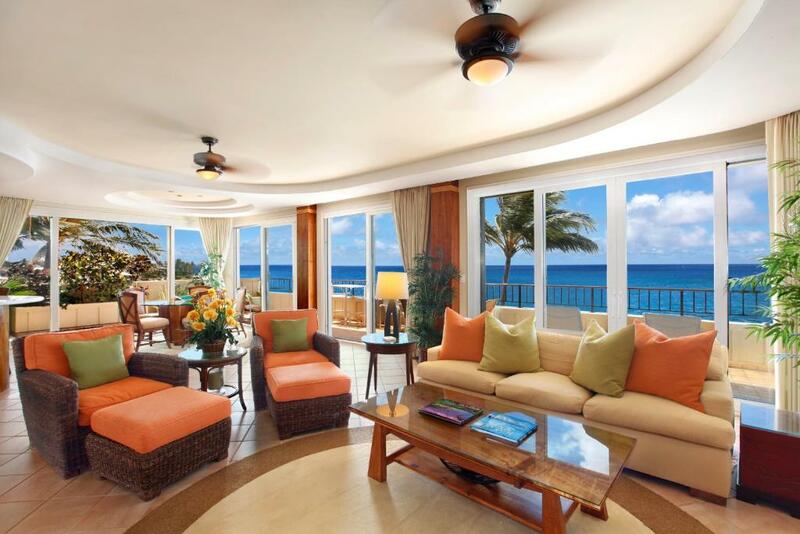 Guests can relax on their oceanfront balcony complete with gas BBQ facilities. Beach gear is available on site. Kiahuna golf course is 1 miles from Poipu Whalers Cove. 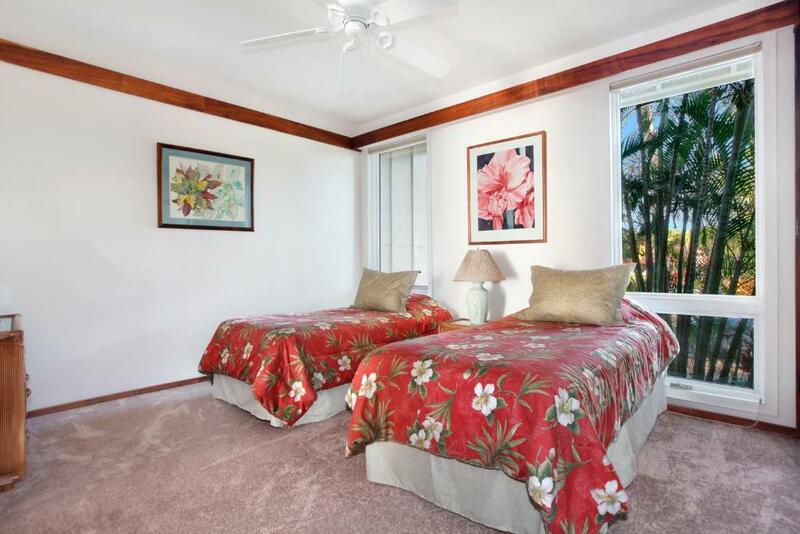 Lihue Airport is 35 minutes’ drive away. 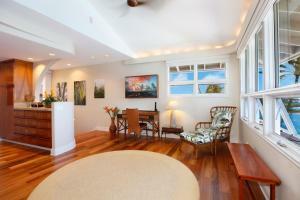 When would you like to stay at Whalers Cove in Poipu? Offering ocean views, this 3-bedroom 2 and a half bathroom apartment comes equipped with a full kitchen. A washing machine and clothes dryer are furnished. This spacious apartment has two bathrooms and offers daily housekeeping services. House Rules Whalers Cove in Poipu takes special requests – add in the next step! Whalers Cove in Poipu accepts these cards and reserves the right to temporarily hold an amount prior to arrival. No air conditioning. The evenings were quite warm. They had fans to move the air, but they were a bit noisy. And, since the outside air was warm and humid, they did not help much. Air conditioning would be nice. Only issue was parakeets that arrive in the trees outside at 6am every morning, make a lot of noise for 15-20 minutes and then leave.